Web Language Training. Monday 14th July, 2-4pm at LCI. A training event in the exciting world of social media. Join the staff team at LCI at this event. 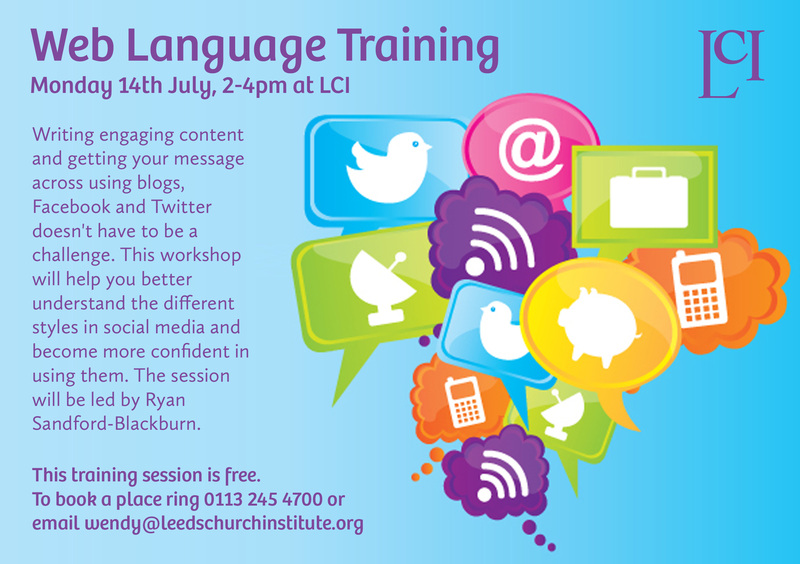 To book a place email wendy@leedschurchinstitute.org or ring 0113 245 4700.